Shaun Ritchie disappeared more than two years ago. The mother of a north-east man who has been missing for nearly two years has been charged with wasting police time. 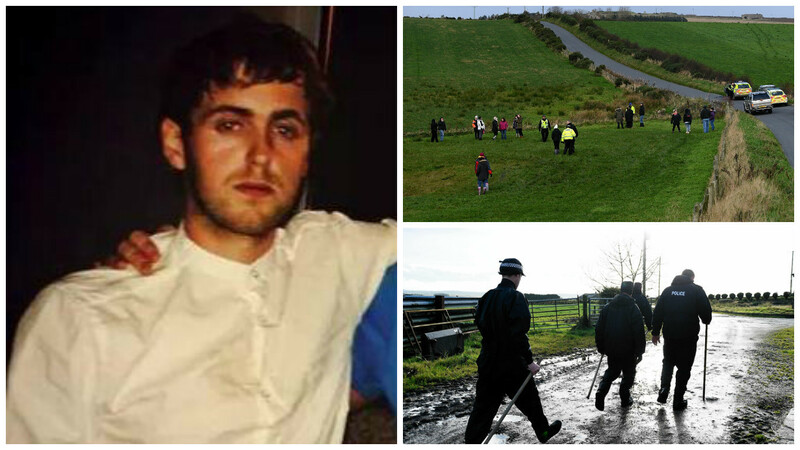 Shaun Ritchie vanished in woodlands on Halloween 2014 after a night out with friends. His mum Carol Roy is convinced “foul play” was involved in his disappearance. She has repeatedly called on the police to consider the possibility her eldest son died as the result of criminal activity – a theory supported by a psychic medium who visited the search site. But now – as the second anniversary of her son’s disappearance approaches – Miss Roy has herself been charged by police. READ MORE: Missing Shaun Ritchie turns 22 today… Why do we still not know what happened to him? It is understood the charges relates to anonymous text messages sent to close friends and family of the missing man, suggesting he was killed. It is believed one message was a fake death threat which warned the recipient not to contact the police. Last night, a police spokeswoman said: “Police Scotland can confirm a 38-year-old woman has been charged in connection with wasting police time. Shaun was 20 when he vanished in the Greenburn area, between Strichen and Fraserburgh. Despite a huge search, he remains missing, presumed dead. Medical experts believe he may have become disorientated in freezing conditions and stumbled into a bog. Miss Roy previously told the Press and Journal she was struggling to cope living in Fraserburgh because she is surrounded by constant reminders of her son. The search for the young man has been one of the largest missing person investigations in Scottish history. Shaun, who would have celebrated his 22nd birthday in May, had travelled to the Greenburn area in a van with friends on the evening of Friday, October 31. Hundreds of police officers, including specialist divers and dog handlers, helicopter crews and dozens of family members, friends and local people have been involved in the ongoing search for him. 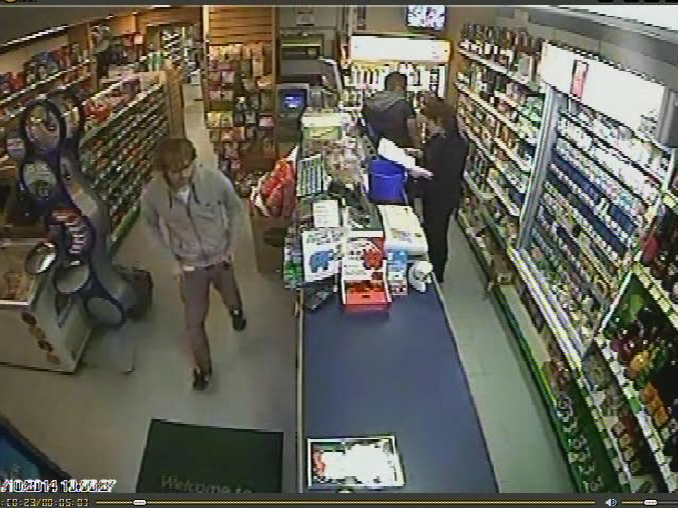 CCTV footage released by detectives showed him visiting a grocery shop in his home town only hours before he vanished. During the investigation Miss Roy said her “mother’s instincts” told her there was “foul play” involved in Shaun’s disappearance. 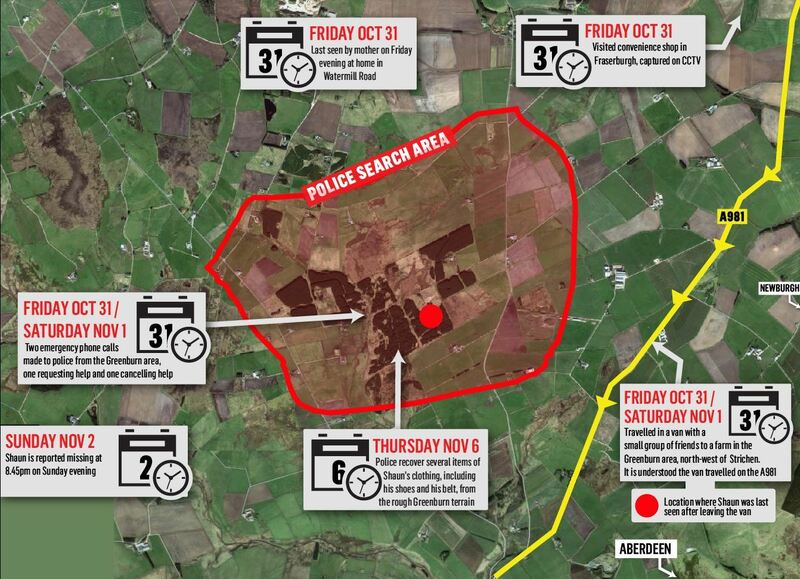 Five days after he was last seen by friends near Kersiehill Farmhouse, specialist search teams recovered items of Mr Ritchie’s clothing from the area. It was also revealed that two phone calls were made from the area to the police on the night of the incident – one calling for help and a second canceling the request. But officers leading the investigation are adamant there has never been any evidence of criminality and the search for Shaun remains a missing person hunt.